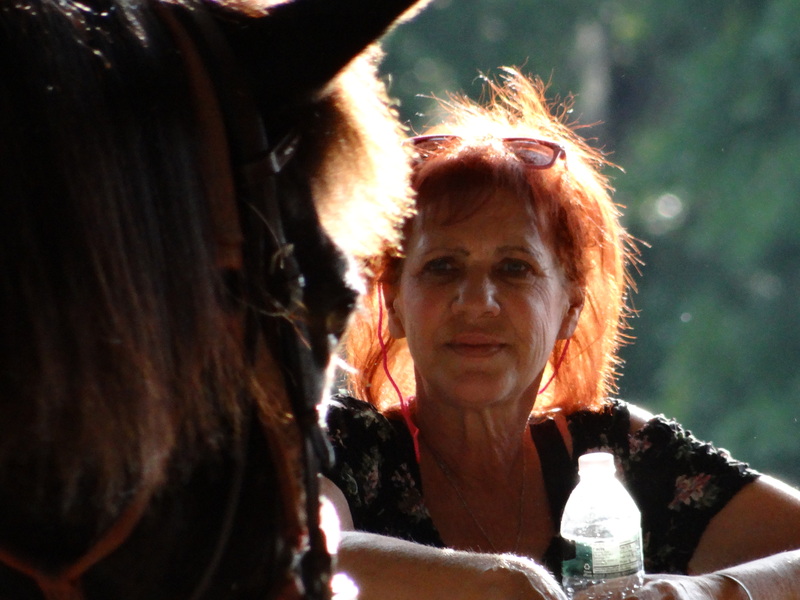 MTRA lost a strong supporter and a great friend with the passing of Irene Gentile, a certified PATH instructor who devoted many years of her life to our mission as a wonderful instructor, a volunteer and a friend. It was her final wish that donations be made in her memory to MTRA to support a Hillcrest student. MTRA facilities. She inspired all with a warm sense of humor, her honest opinions, her enthusiasm, and she freely expressed her joy in her rider’s success. 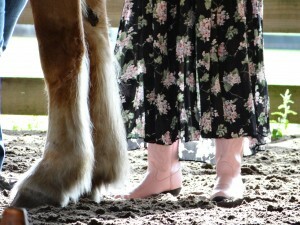 Her colorful spirit left footprints in the hearts and lives of those who met her. MTRA appreciates Irene’s endeavors, thereby recognizing her as a great contributor to the success of MTRA. On August 23, 2015, after a long and courageous battle with cancer, Irene Gentile left this world to rest in a better place. We have lost a dear friend and a talented instructor. 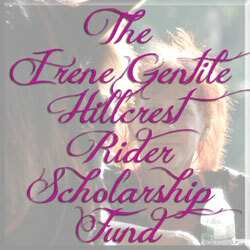 It is our desire to continue Irene’s passion to provide therapeutic riding for Hillcrest students with this scholarship. Please consider a donation in Irene’s memory to assure MTRA’s future success in the Hillcrest children participation in EAAT activities by clicking on the image above. For those of you who would like to have a beautiful memory of Irene, please click on Irene’s photo to download a high resolution printable version.